The summer has flown by so quickly, I've hardly had any time to miss my usual schedule of regular television. Other than my low-level melancholy I have whenever Supernatural isn't on, that is. Then yesterday I had a sudden and terrible urge to watch Glee, so instead of doing something constructive with my afternoon at home, I sat down to eat lemon tarts and watch random episodes of Glee that were still on our Tivo, fast forwarding just about any part that had Rachel, Finn or Quinn in it. To be honest, I just watched the Kurt/Blaine bits and big group numbers from a couple of episodes, but that's not my point. My point is that by fulfilling my sudden urge to watch story-telling karaoke, I am now incredibly excited and overly eager for the fall season to start up. Why are they in the water? This show doesn't involve water. Next to the Winchesters, I'm most eagerly anticipating the return of my other favorite pair of brothers. Well, more like my other favorite show that happens to include a pair of brothers because I still think Stefan is one of the most boring characters to ever be the "charismatic lead" on a teen-oriented television program, but Boone Damon makes up for the other's complete lack of appeal. Anyway, I would be referring to The Vampire Diaries. This is normally where I'd put in a self-effacing snarky comment about how I know I'm an adult and by virtue of my age and the CW's target audience, I should not be watching this show, but I'm fairly certain that the majority of my readers might be in a similar boat. Poor Elijah in his vampire coma... he looks shocked at his brother's betrayal. Really? !This show left me conflicted by the end of season 2. Elena was no longer nearly as annoying as she'd been throughout season 1, but I still preferred just about any other female character to her. Stefan showed potential for becoming interesting, but currently is just a sappy sack of boring. Side characters I liked disappeared for episodes at a time. One of the more intriguing bad guys is stuck in a tomb in a vampire coma while the over-the-top (and not in a good way) bad guy is chewing scenery and attempting to be charismatic and menacing at the same time. It doesn't work. I mean, when you pick Mr. Boring himself as your murder rampage wingman... really? You want me to take you seriously? And I couldn't tell you why Matt is even still around. With all the people that die on this show, how has he lasted this long? 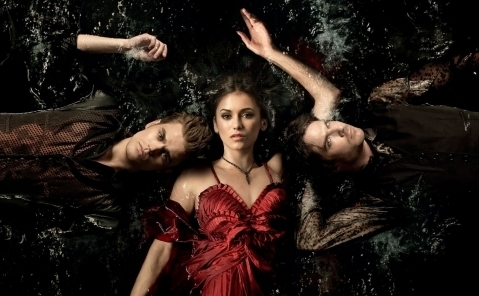 Despite all of these things and the fact that, given time and a rewatch, I could probably tear this show apart with the analytical "I think I'm smart" part of my brain, The Vampire Diaries is one of the shows I'm most looking forward to this fall. Why might that be? Two words - Crazy Eyes. I have a hard time remembering characters' names sometimes and often refer to them as previous characters they've played on shows I've seen a dozen or more times. Too bad Ian Somerhalder died so early on in Lost that at the time I began watching The Vampire Diaries I'd completely forgotten his previous character's name (BOONE!). That meant he got a nickname instead - Crazy Eyes. At this point Fernando would have no idea what I was referring to if I mentioned the name Damon, but if I say something about Crazy Eyes, he knows exactly who I'm talking about and what show I’m referencing though he’s never seen an episode besides the pilot (which is really not good). He still won't watch the show with me, but at least he can pretend he's listening and knows what show I'm babbling about. I will hypnotize you with my crazy eyes! Then I will eat your face.Ian Somerhalder, with his crazy eyes and the wiggly eyebrows that go with them, makes this show for me. I have no idea why any of these people are his friends considering he's a homicidal maniac who has attempted to eat many of them. I know I wouldn't be his friend. He EATS PEOPLE and he ENJOYS IT. This is why he's my favorite character - he's a vampire that acts like a vampire. Huzzah! Not to mention he has some of the best snarky one-liners this side of Dean Winchester. On the complete opposite note, I also find Somerhalder to be a compelling enough actor that I buy the glimpses beneath his cold vampire nature into the uncertain, unhappy boy with the floppy hair that he was before his brother acted like a douche and turned him into a vampire. 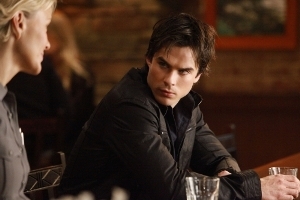 Ian is also incredibly charismatic and manages to have chemistry with just about everyone; not necessarily in a romantic sort of way, but in a way in which I believe the relationship between Damon and each of the other characters even if I don't understand how they could all be his friends. Somerhalder was especially enjoyable when against Daniel Gilles' Elijah (too bad he's in that vampire coma), who was also a highlight of the second season for me. I like the gentlemenly vampires with their dark sinister nature hidden right below the surface as well as the snarky ones who bite your face off. Though the absolute best thing about The Vampire Diaries? The story pacing. In that aspect, it flies above and beyond Supernatural, especially when compared to the meandering of season 6. Stories that would take all season to tell on another show are wrapped up in a handful of episodes without feeling rushed. People seem to die every episode, not just during sweeps week or during a season finale, so there’s a constant tension that no one is safe (other than the three leads, of course). The show wiped out half its supporting cast on the episode before the finale last season. Shows that have that essentially written into their DNA (Heroes, I'm looking at you) can't even do that! After the entirely too predictable first season, I could rarely tell where this show was going and they’ve stopped taking the obvious or easy way out of situations. While I can't always buy into character motivation (Don't they know Damon EATS PEOPLE?! ), I also can't say that I remember a particularly boring episode at least not after the first half of season 1. Good call on making Caroline a vampireAdd in some really awesome side characters - notably Caroline, who was obnoxious in season 1 yet did a 180 and became awesome - and the fact that the leading lady just might not be so useless after all, and this show is a lot more entertaining than other shows that get more notice. Once again I have no idea where things will be going and most likely I still won't be able to get Fernando to watch it with me, but I am addicted and I am eagerly anticipating Thursday night and the return of Crazy Eyes Damon Salvatore to my television on a weekly basis. Perhaps this season the Powers That Be can actually make Stefan interesting, though I won't hold my breath. That dude is B-O-R-I-N-G*. 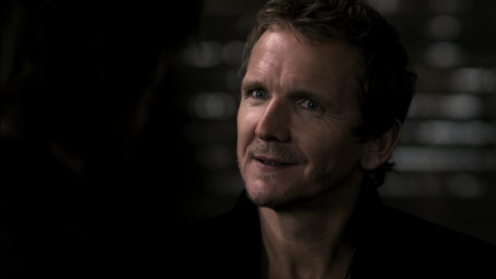 I might also be really excited that Balthazar Sebastian Roche is going to be in some episodes, inevitably being awesome. Because Balty Mr. Roche cannot not be awesome. If he and Crazy Eyes Ian Somerhalder have scenes together, you can be certain I will be flailing like the happy little fan girl I am. That's a lot of awesome for a girl to take. * The only time I can recall Stefan not being boring is when Lexi was around and that's mostly because she was awesome. But then, you know what? Damon ATE SOMEONE and blamed her for it, so she died. And yet everyone is STILL HIS FRIEND!